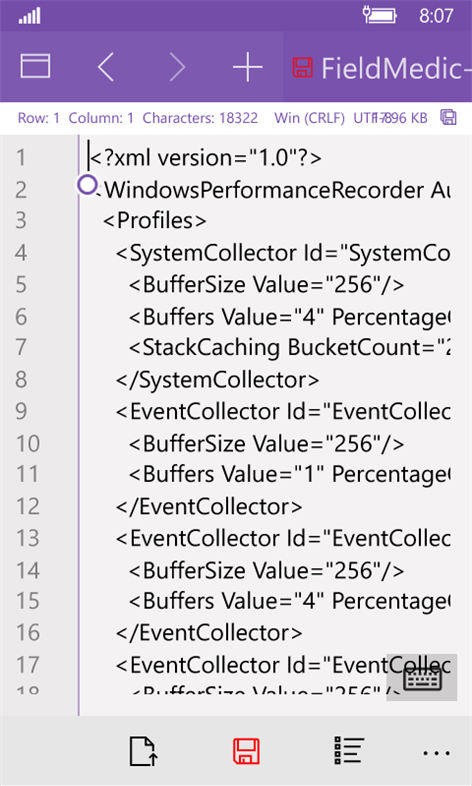 It's hard to get excited about text editors, even when they're free and full UWP/Continuum capable, since there are quite a few of them available. But NotepadX was on my to-do list and given that it's fully featured and ad-free then why the heck not give it a moment in the sun? NotepadX is a simple but feature-rich text editor. With NotepadX you can create standard text files, open and read text files and edit them. 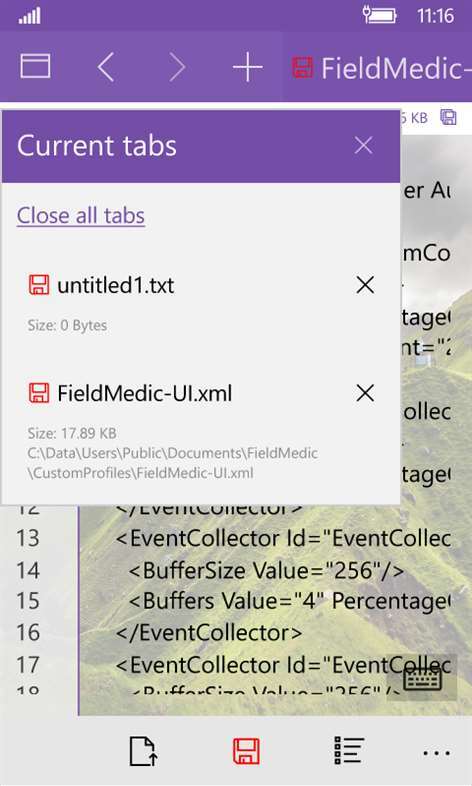 The finished file can be sent directly from the app via email, stored to your local storage (device or storage card), uploaded to OneDrive, or Shared with other apps. NotepadX - a text reader designed for all Windows 10 devices, optimized for Continuum, free and without advertising. There's a choice of themes: white or dark, and with custom backgrounds. Though I'm not sure adding a photo behind text makes it easier to see or edit in any appreciable way? 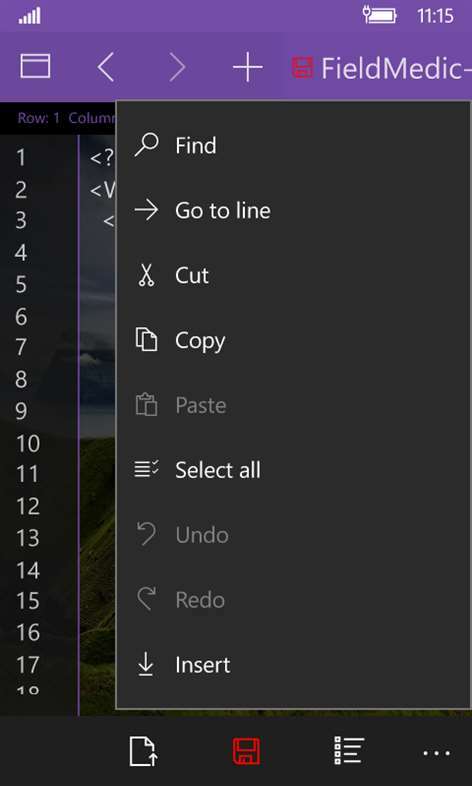 The '...' menu is where you'll find all the editing functions, with 'Find' and 'Go to line' both very useful for code editing; (right) you can switch tabs to other files with a single tap or by picking from the tab list shown here. 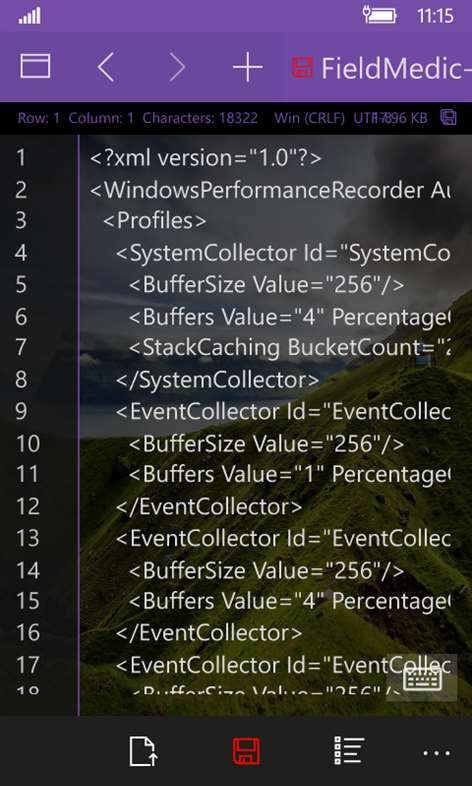 You can grab NotepadX UWP in the Store here.